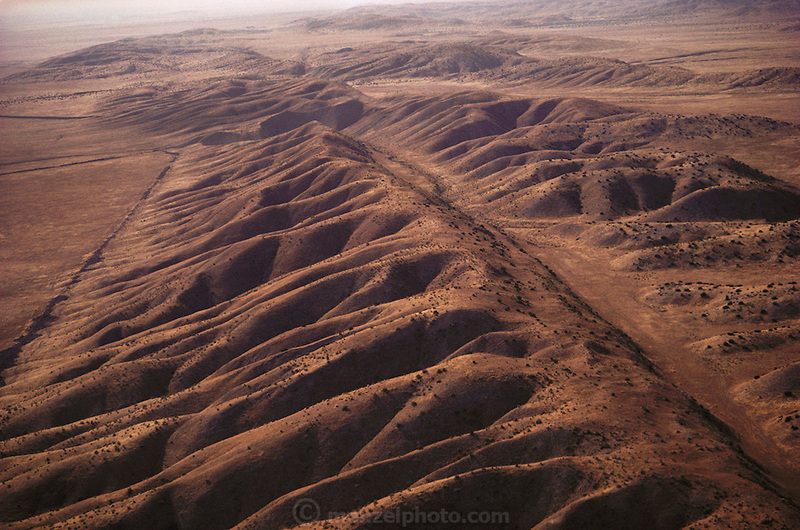 Aerial photograph of the San Andreas Fault in California as it crosses the Carrizo Plain. The Earth's crust is fractured into a series of "plates" that have been moving very slowly over the Earth's surface for millions of years. Two of these moving plates meet in western California; the boundary between them is the San Andreas fault. The Pacific Plate (on the west) moves northwestward relative to the North American Plate (on the east), causing earthquakes along the fault. The San Andreas is the "master" fault of an intricate fault network that cuts through rocks of the California coastal region.